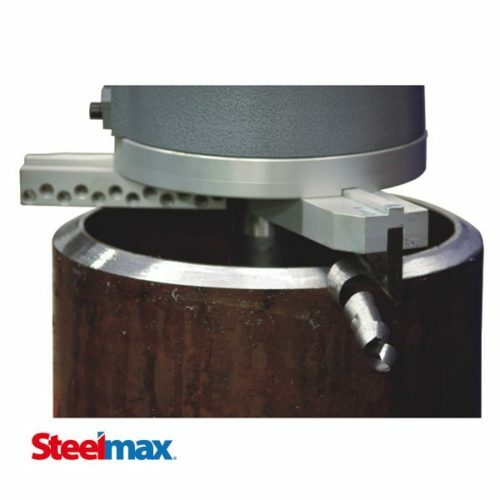 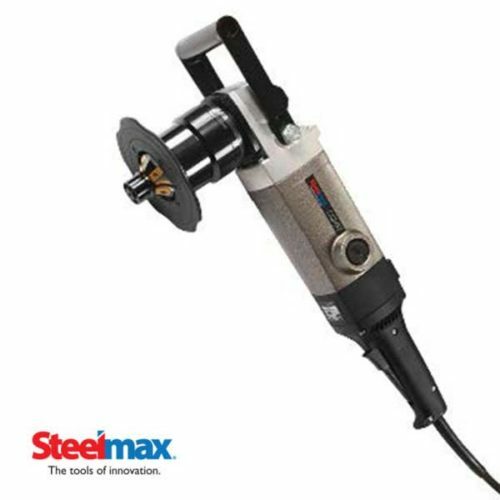 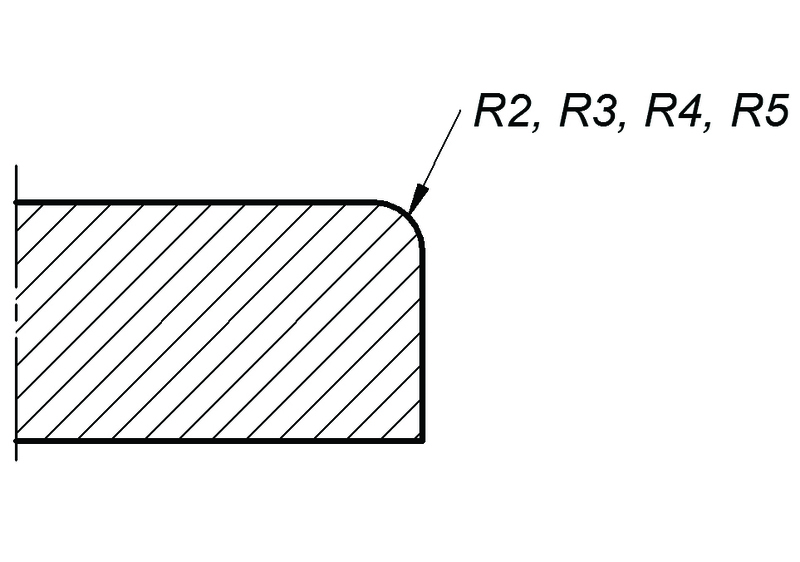 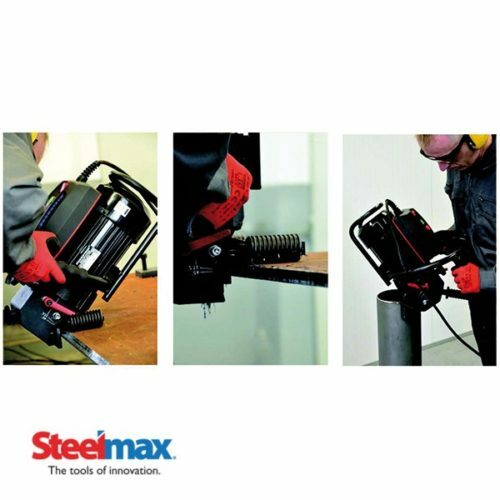 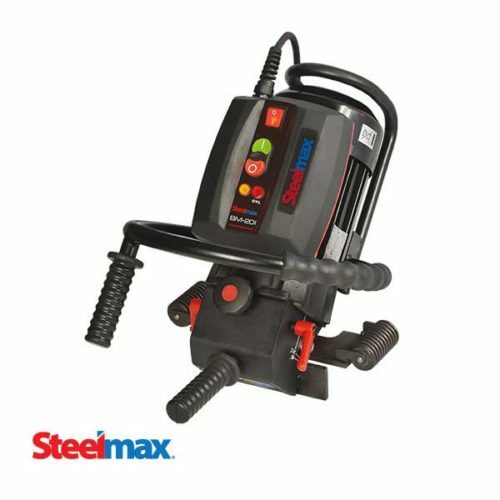 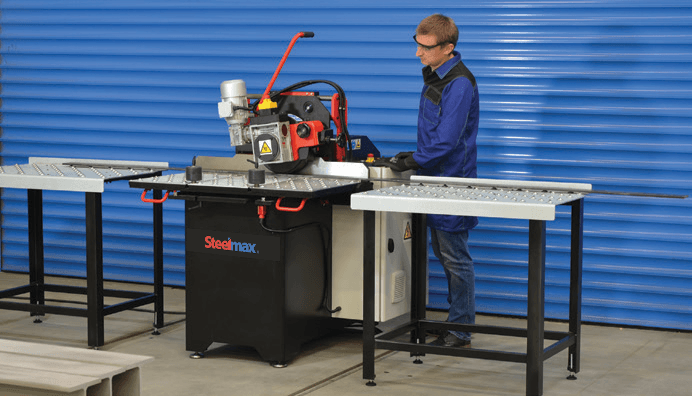 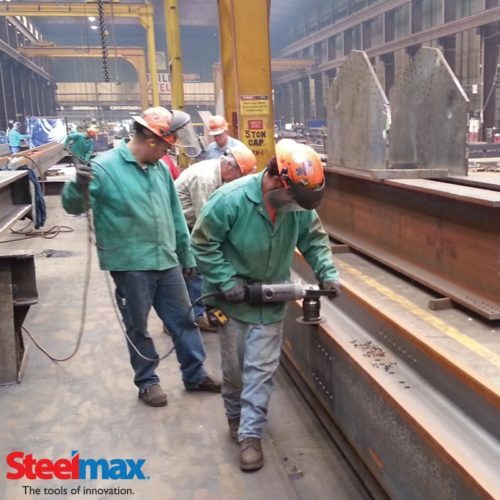 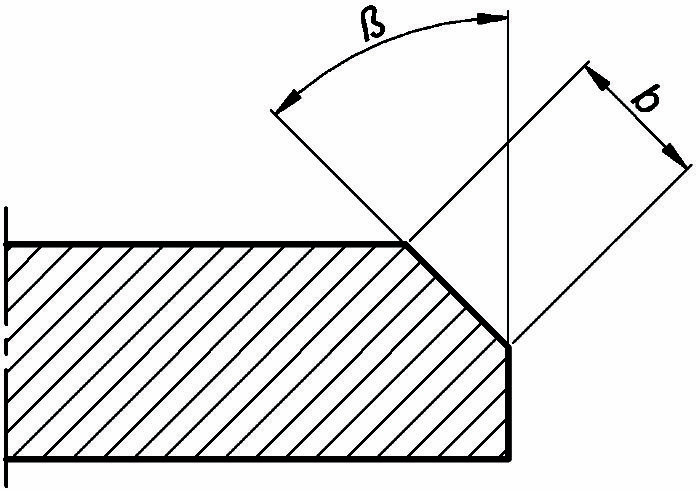 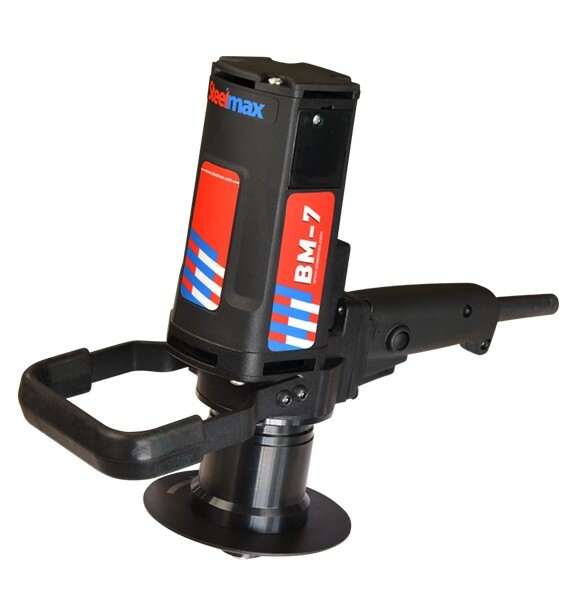 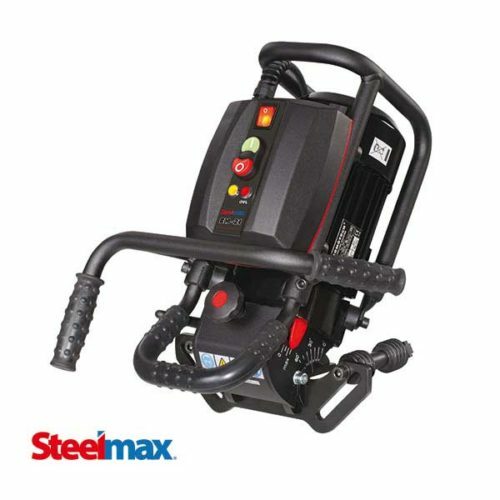 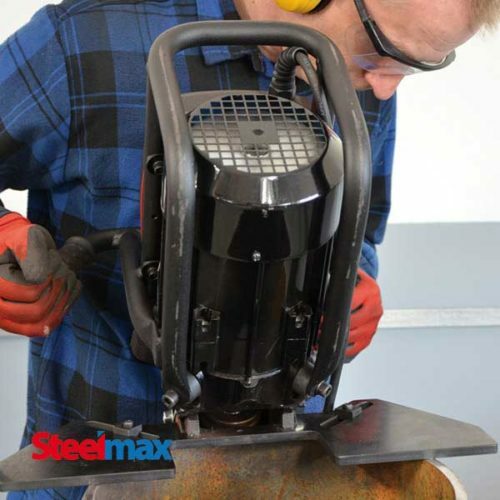 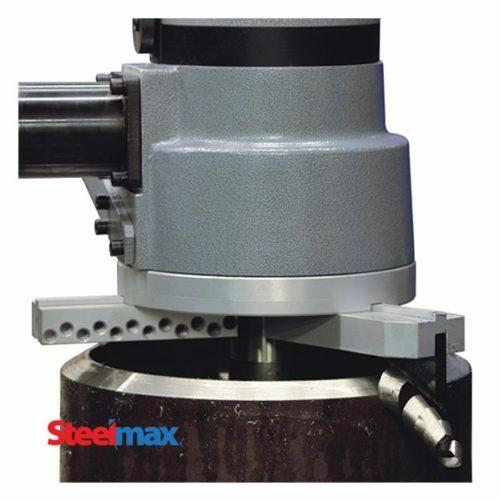 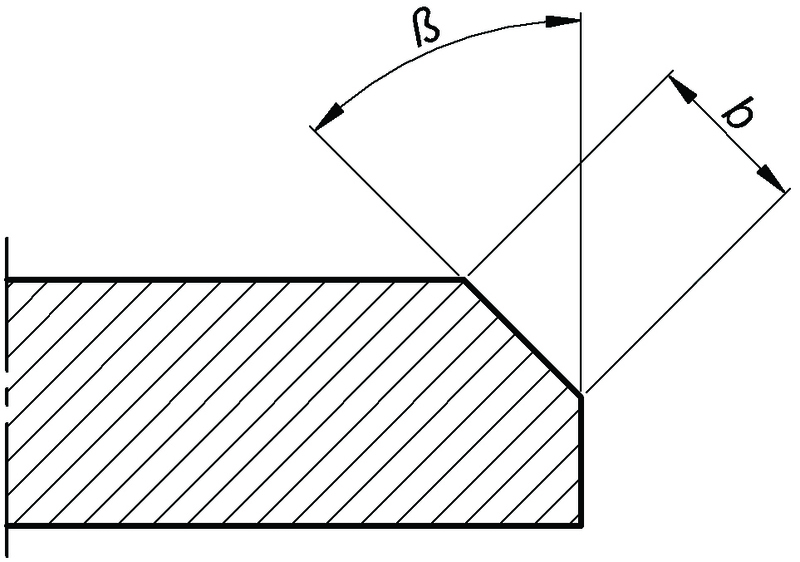 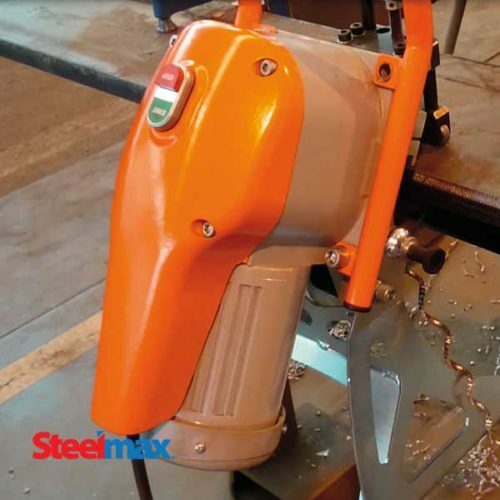 The Steelmax BM7 is a compact, multi-purpose milling tool that can bevel, deburr, chamfer and radius mill edges of plate, pipe, tubes, and holes. 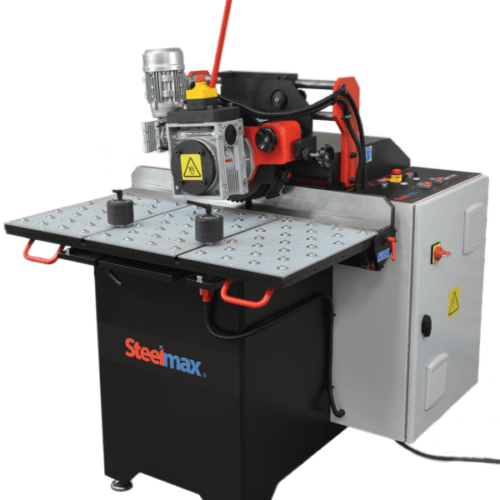 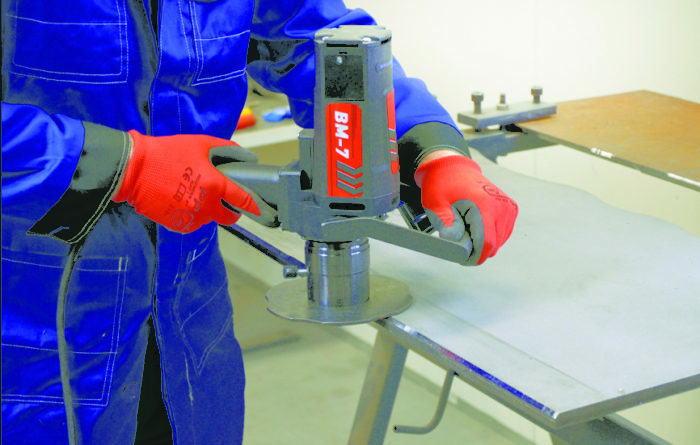 The machine can be used on flat, curved and radius cut edges and can countersink holes as small as 1-3/8” (35mm) diameter. 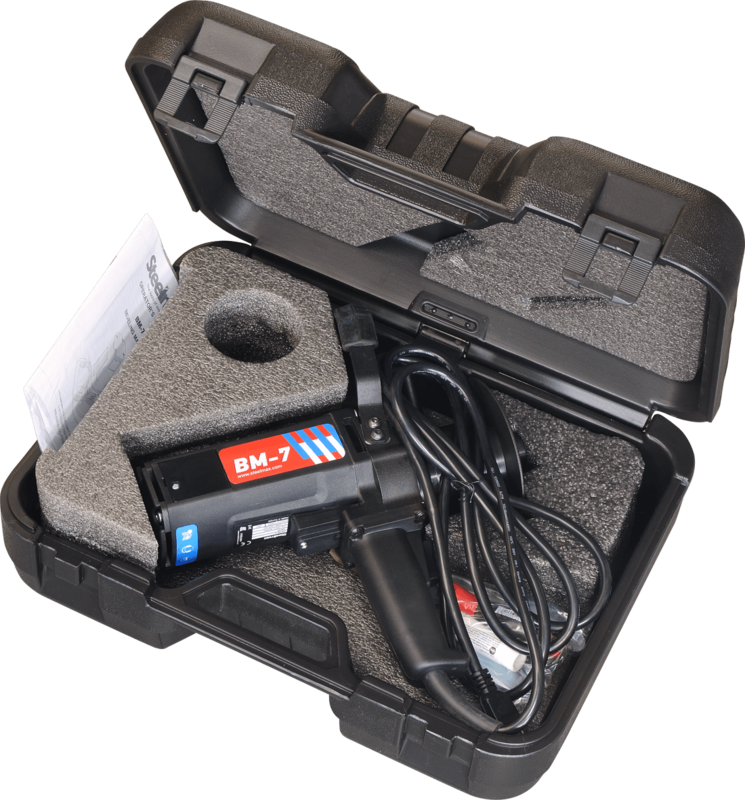 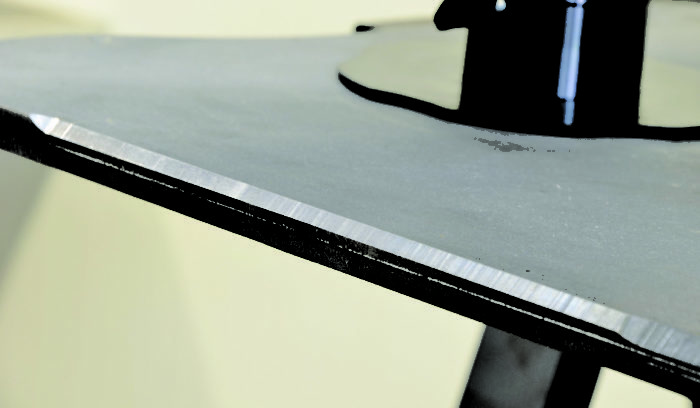 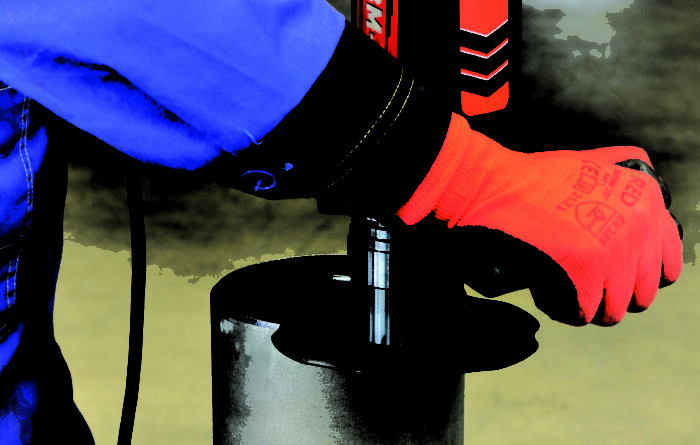 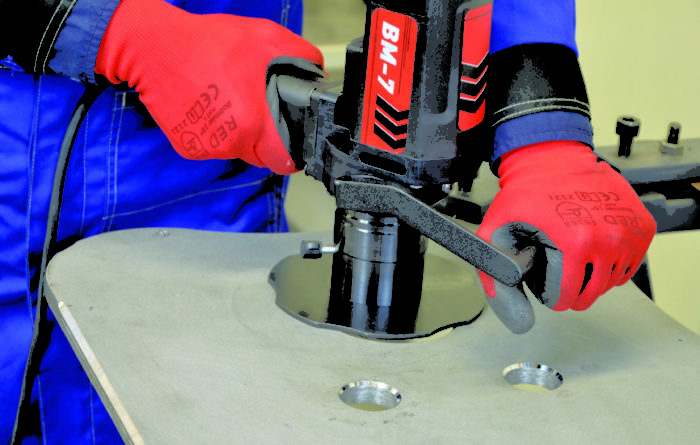 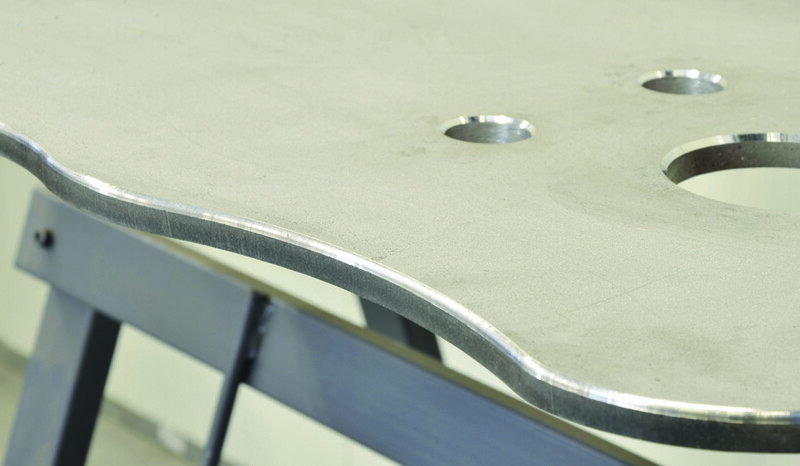 The BM7 is an efficient solution for quick and consistent beveled edges for weld preparation, rounding off edges for paint and coating preparation, removing burrs and removing sharp edges on workpieces. 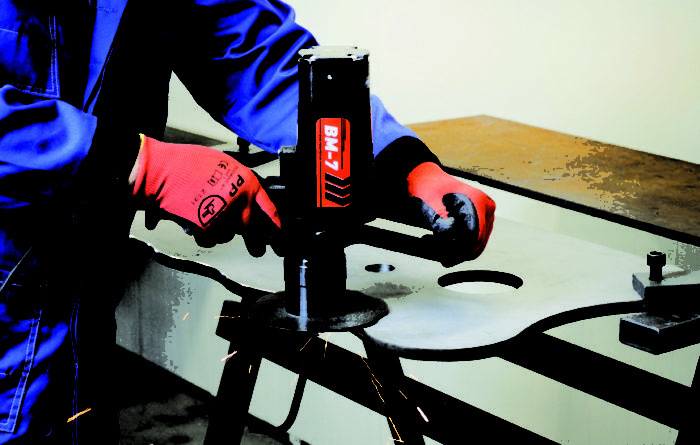 It is ideal for cleaning out holes and cut outs.